Always on the hunt for new projects and interesting bikes we jumped at the chance of bringing a much neglected Moulton APB back to life! These frames have so much potential and it seemed criminal to let it sit rusting away any longer. Moulton’s are pretty cool bikes as they are small and able to be taken apart to make travelling with them a cinch. 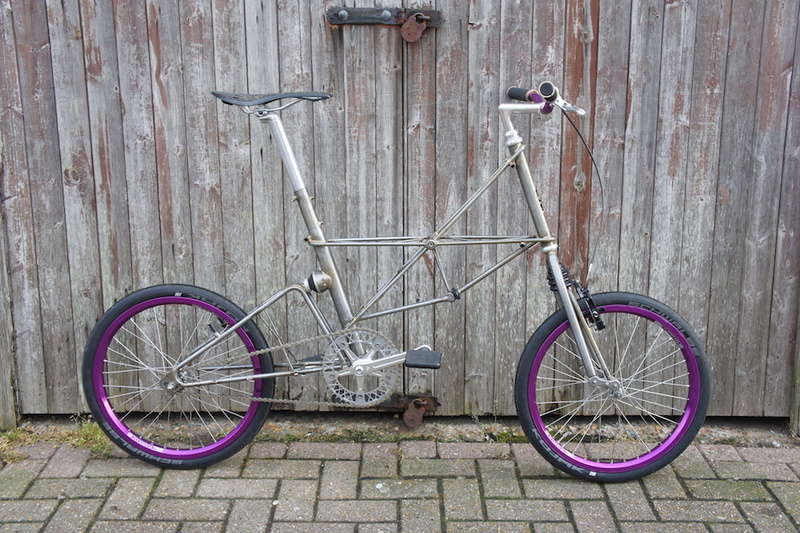 However, unlike a Brompton, Moulton’s ride and feel like a “normal” bike. Add to this the compliant suspension front and back and you have a very capable and fun little bike. 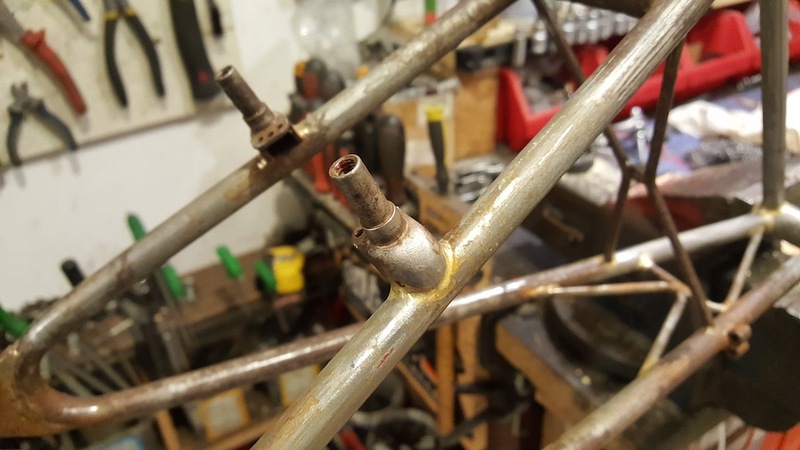 The first step was to strip the frame of all the old component’s then proceed to dismantle the frame itself and remove any smaller bits like the suspension or joint pins. Finally we were left with just bare steel and the work could really start. 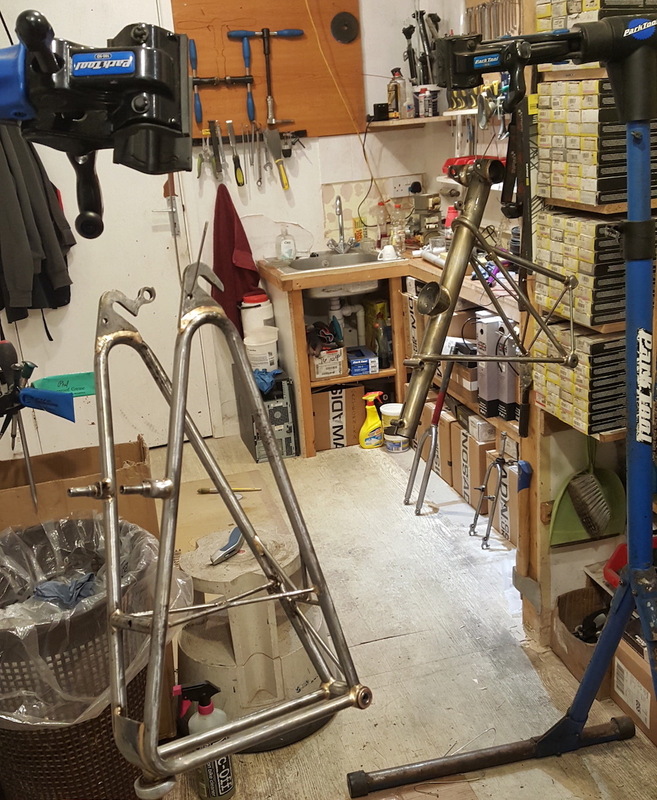 Moulton’s are make up of a surprising number of tubes and stripping and polishing each of them took a lot of evenings and even more coffees! However, the result was something special. 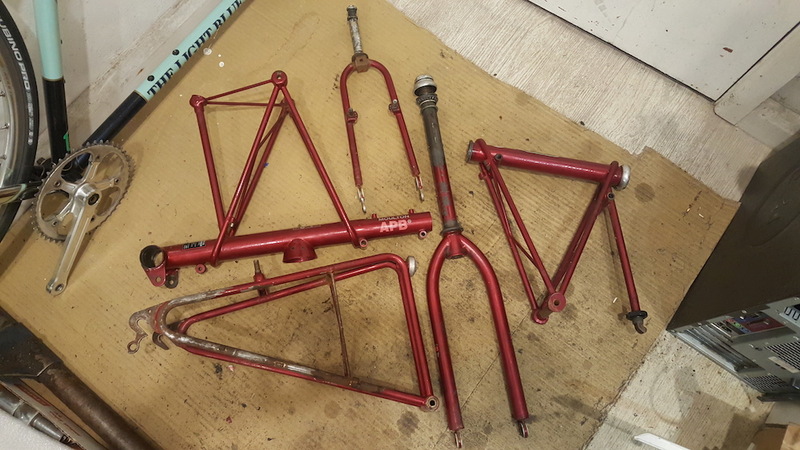 The next stage once all parts of the frame and forks were polished was to clear coat them with lacquer. This again took a while, but gave us time to build the wheels while it dried. Another benefit of the Moulton over other minovelo style bikes is the fact the frames are based around 20″ wheels. This gives lots of options to pick from as well as better rollover characteristics compared to smalled diameter wheels. 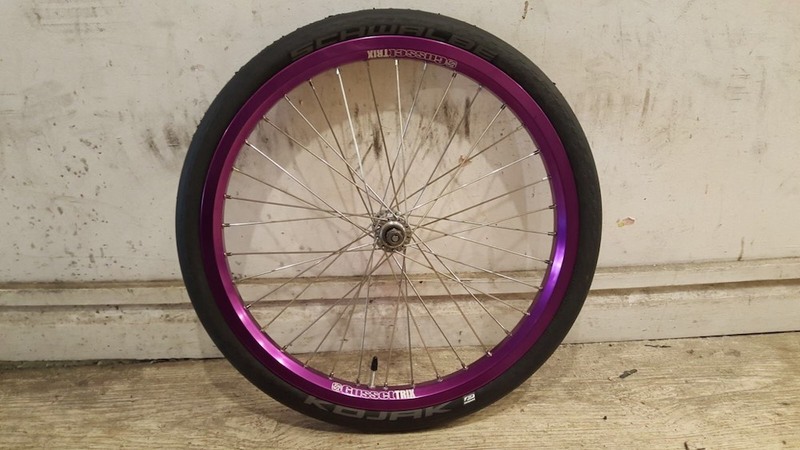 We went with a set of vintage track hubs laced up to a pair of rather eye catching Gusset BMX rims, of course we made it fixed! Once dried we reassembled the frame and added the new components. Going for a sleek and simple town build we opted for flats, riser bars, no gears and just a front brake. The result has been fantastic! It’s not only highly functional and fun to ride, but also a beautify example of craftsmanship and individual style. Click here for the bike’s full profile over on our Projects page or drop into the shop to take a more detailed look.